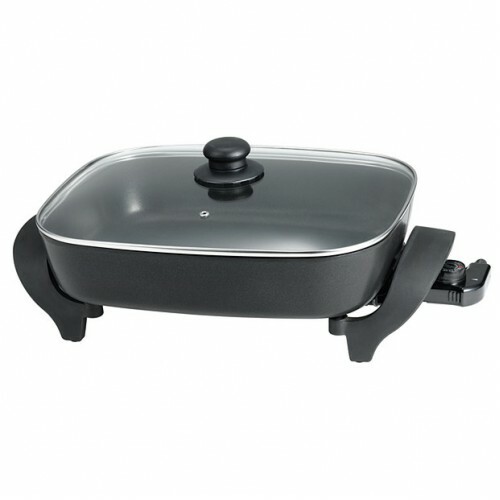 Our Banquet Frypan is extremely versatile and is perfect for cooking larger roasts, stir-fry's and casseroles for your family. With a non-stick interior, adjustable temperature control and deep interior for roasting and frying, creating meals is easy. Deep interior for roasting or frying.